Here's an overview of weeks 13-16. We're done with Life Science. 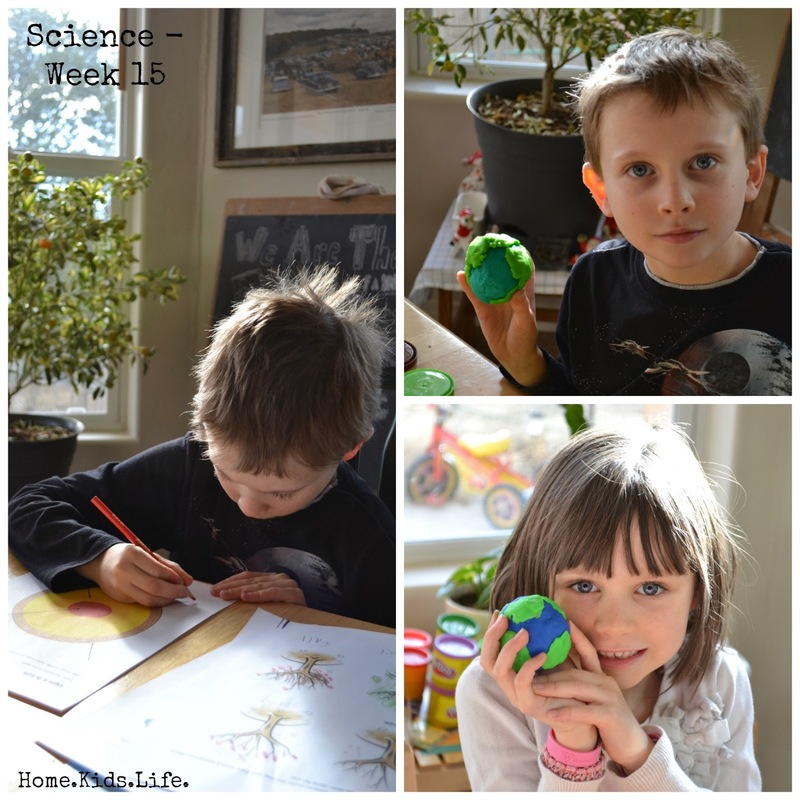 These weeks start Earth Science! This is a basic overview of the universe, sun, and the planets in our solar system. We ended with making a model of the solar system. Minus Pluto. Cause Pluto has been demoted since I was in school. It's a dwarf planet now. Outer space is just so much fun! Hard to actually do real hands-on stuff, but we can do some stuff. Collect space rocks, look at the moon phases, and put stars on our ceiling. We actually still have to put up the stars, the kids can hardly wait. Biker Boy has to put a ceiling fan up in Chewy's room...so we're waiting until the ladder is in the house and we can do it then. Plus the kids have to keep the floor of their room clean in order to put up the stars...good motivation to keep their rooms clean! 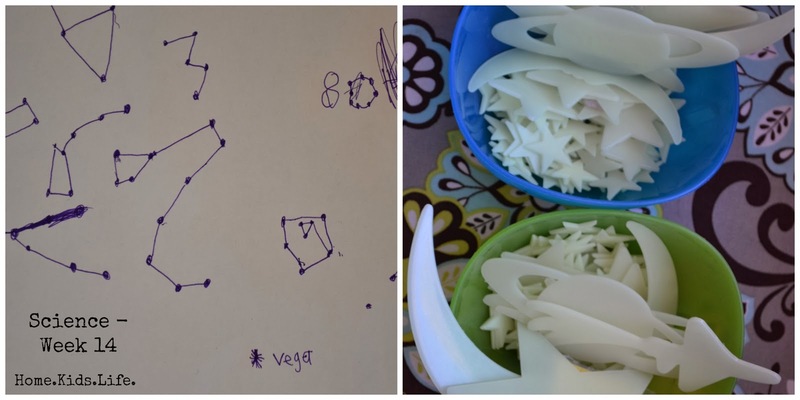 Make some star cookies...that's a yummy experiment! 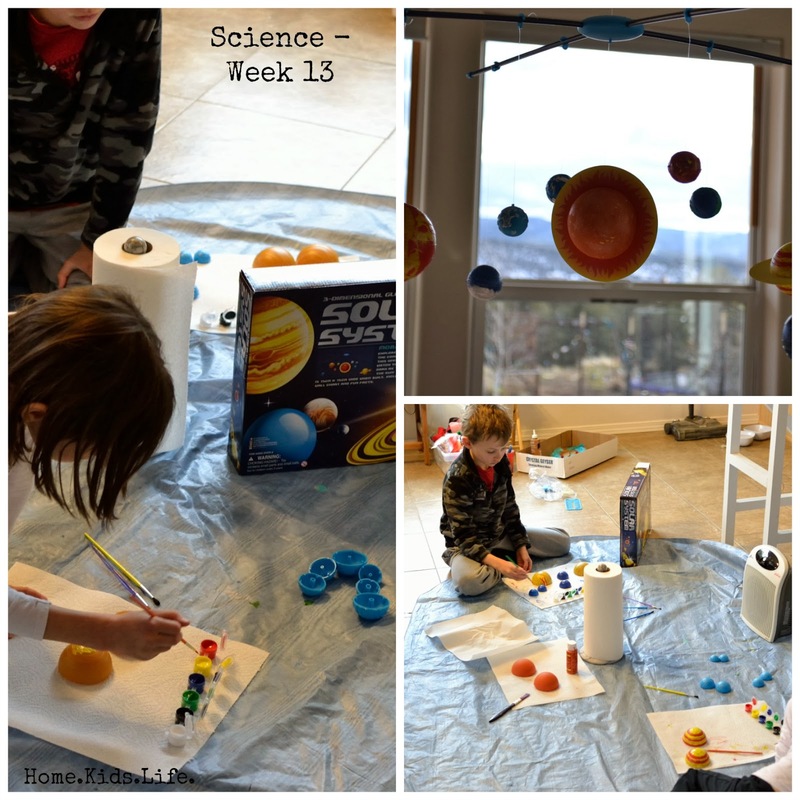 We studied what causes seasons (hello...Sesame Street and Bill Nye videos!) and we studied the layers of the Earth. 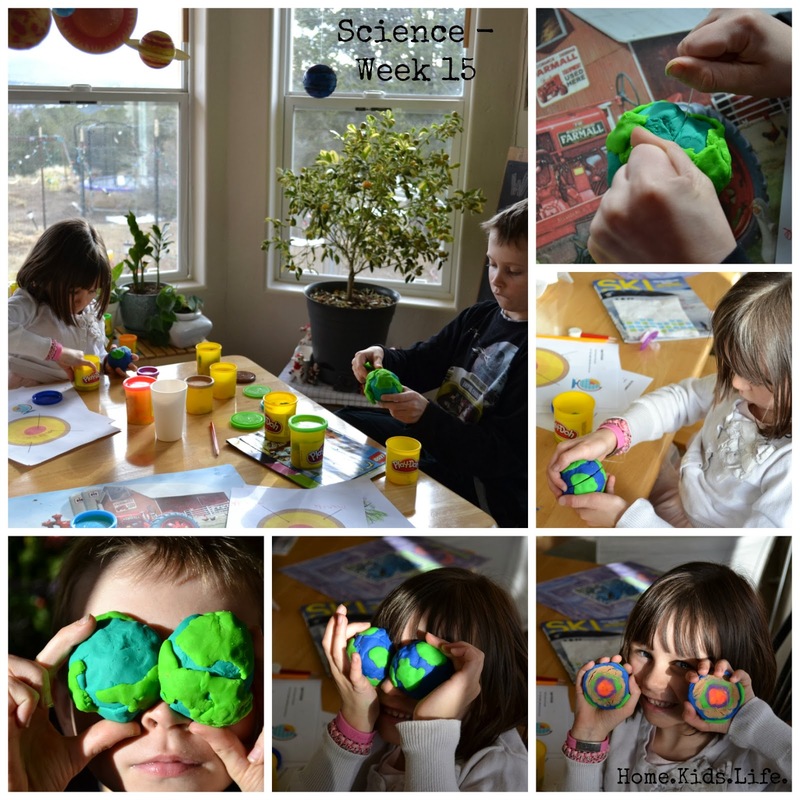 The Play-doh model of the Earth was a hit. 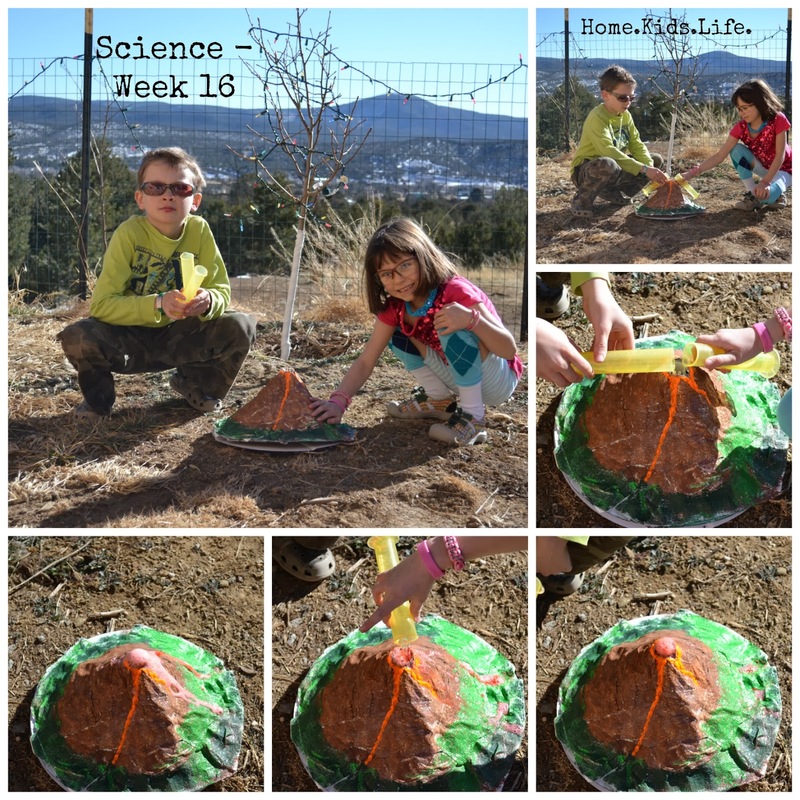 Our play doh earth crust even cracked and had plates (relates to week 16). We just touched each subject a little bit. The Magic School Bus "Inside the Earth" and the Planet Earth "Caves" DVD were big hits. We live in the mountains, so that's familiar to us. We also live by some extinct volcanoes. Real life stuff. And we've visited a few caves in the past couple of years (one this past summer), so the kids could relate to the lesson. If you get a chance, visit a cave in the future! Here's a link to our visit to Carlsbad Caverns and a visit to some ancient lava flows. Oh, the cave experiment with the epsom salt water...I tried 3 different strings. Only one worked. Heads up for you on that..try a few different types if you do that lab. There's another 4 weeks for you! On to the next 4 weeks. 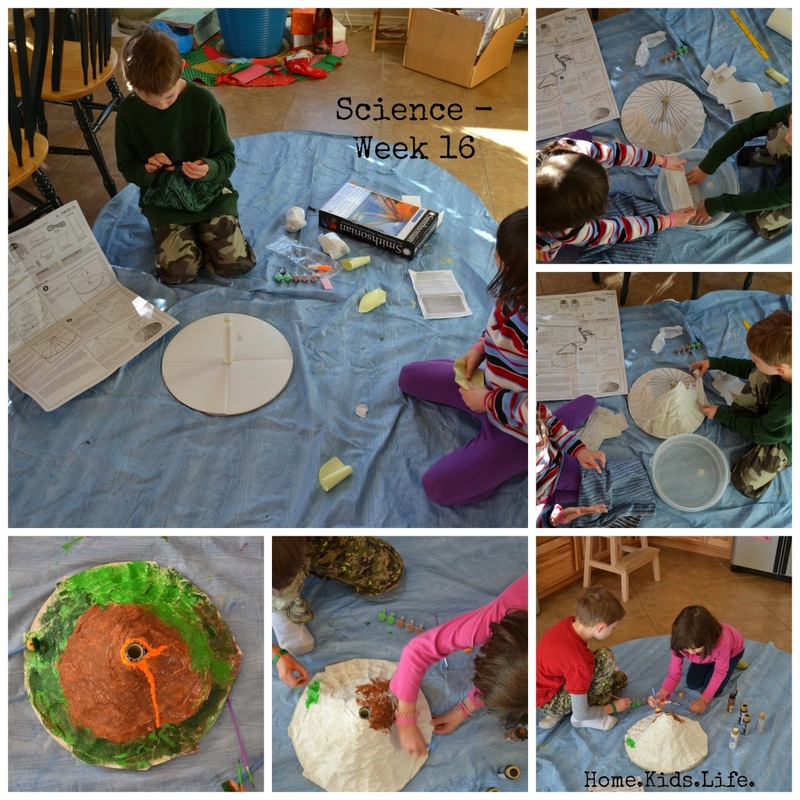 Rivers, Waterfalls, Oceans, Minerals, Rocks, Fossils, and the start of 2 weeks on weather. I think we're going to have to plan a field trip to the natural history museum soon! I'd take the kids hunting for invertebrate and plant fossils in the mountains, but I think they're still under snow! What have you been up to in the past 4 weeks or more? We have been using your science curriculum, now in the middle of weeks 5-8, we are truly enjoying your fruits of labor. Once again thank you! Thank you! 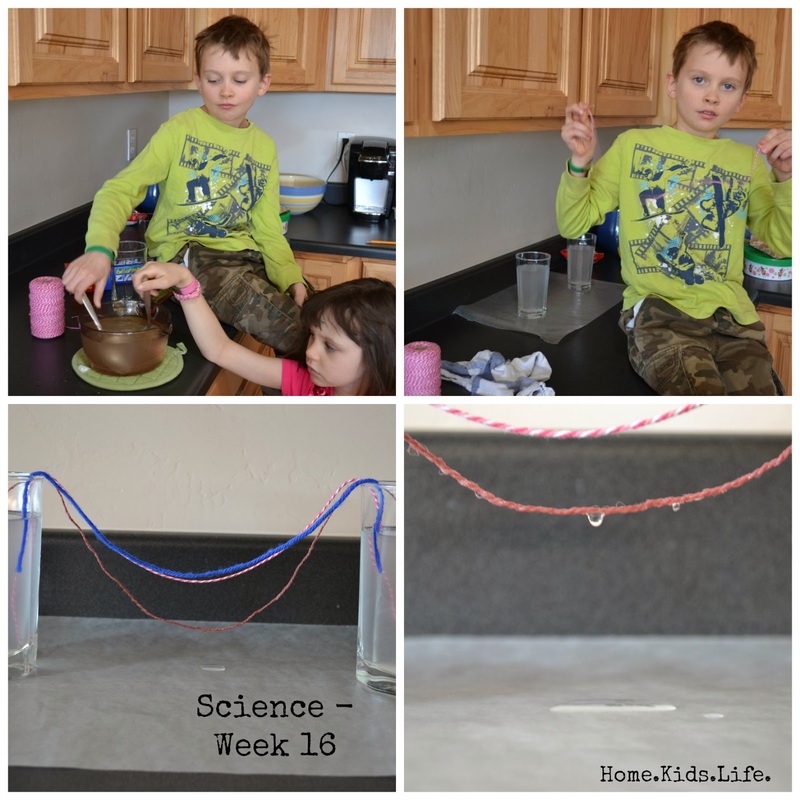 I hope you and your kids are having fun with science! You've motivated me to keep working on this. We're on week 19 and I'm just trying to stay ahead of the kids! :) I should have the next batch of lessons up in a couple of weeks.